There is something irresistibly gross about Lucky Peach food photography. The bizarre lightening and color correction, the styling that fluctuates between offbeat and grotesque. It’s so weird, it’s amazing. Aside from it’s unique visual appeal, Lucky Peach is consistently packed with culinary expertise and damn good journalism. 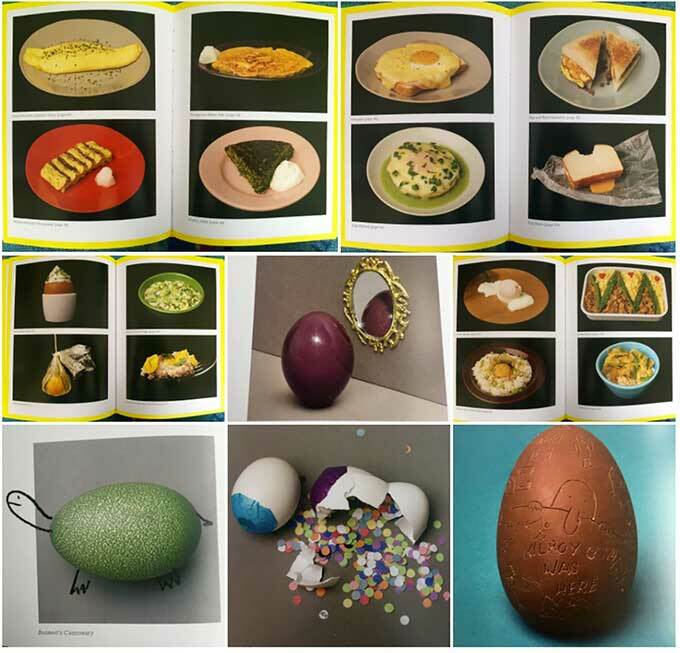 Though the magazine will soon be gone, the brand’s fourth (and presumably final) book, All About Eggs, embodies everything that was great about the publication compiled in a kelly green hard cover. All About Eggs really is all about eggs. It examines the egg from every angle. There are essays on the evolution of the egg tart in Asia, an egg-fueled murder in a San Francisco diner, and the egg throughout time. There are guides on deciphering egg carton labels, egg varieties, and egg substitutes. The bright yellow yolk at the center of the book houses strangely photographed finished recipes ranging from deep fried Filipino Kwek Kwek to classic, crisp French Meringues. The egg white pages on either side of the recipe section are generously peppered with egg photo illustration—egg art objects, repurposed egg shells and cartons, egg ephemera, and many, many altered photos of eggs (anthropomorphized, animalized, and otherwise reimagined). 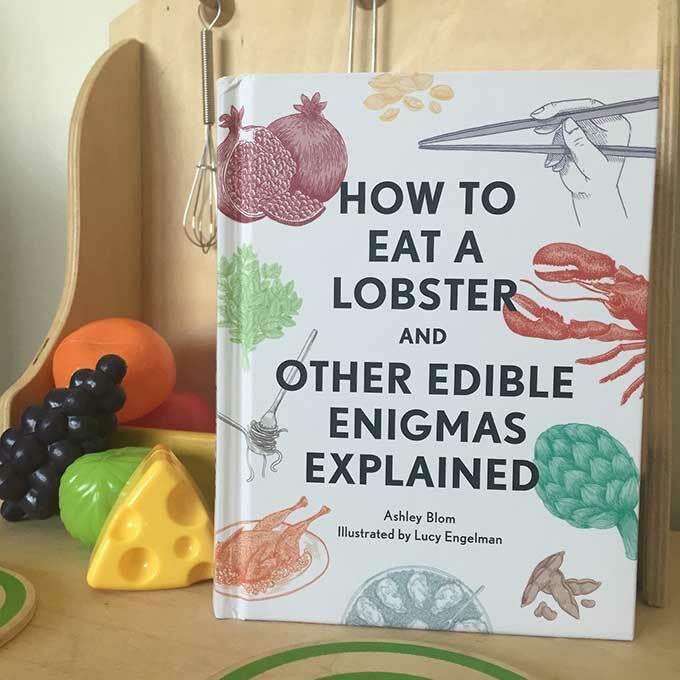 If you are at all interested in eggs, you need this book! I pretty much sprinkle the same thing on every meal. I am admittedly heavy-handed with the cayenne on my own plate and rarely stray from the variety of basils I grow in the summer or bundles of dried rosemary in winter when cooking for my family. I am much more apt to get creative with spices while baking, to savory up my sweets. 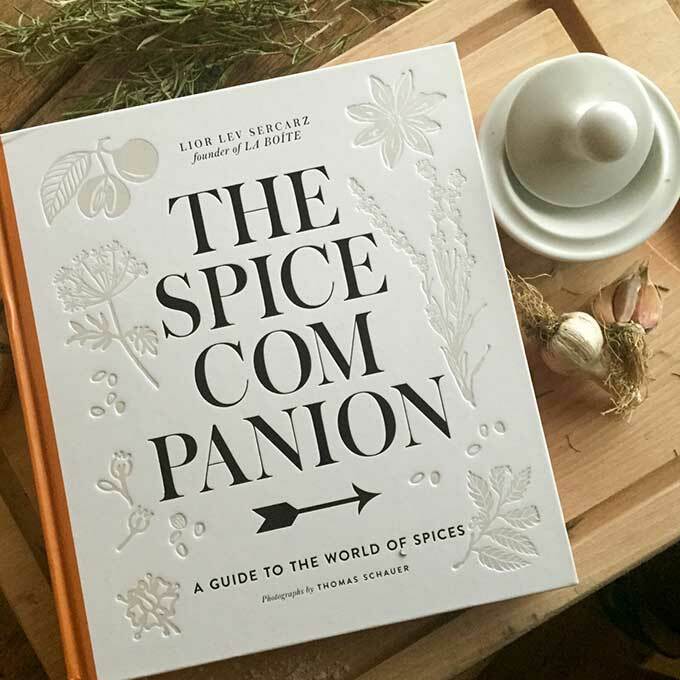 Lior Lev Sercarz’s The Spice Companion has got me pretty excited to change things up. This book is an absolute must read for anyone who likes to cook. In it, Lev Sercarz, celebrated culinary expert and master of spices, walks readers through a collection of spices chosen based on the criteria of: 1) can be found anywhere and 2) are essential in certain parts of the world. He opens with a few short essay-like chapters on his own culinary journey, the history of spices, and overviews on procuring, blending, and storing spices, all written in an inviting tone that makes the reader, no matter how novice in the kitchen or rote in their culinary routine, feel excited and encouraged to experiment with spices. They serve as thoroughly informative, enjoyable appetizers to the main course of the collection: the spices. Anthony Bourdain is an idol of mine. I read his breakout book Kitchen Confidential while I was working in a dingy Teriyaki Bar. I’ve watched as he’s eaten his way around the world. I’ve read every book he’s put out. 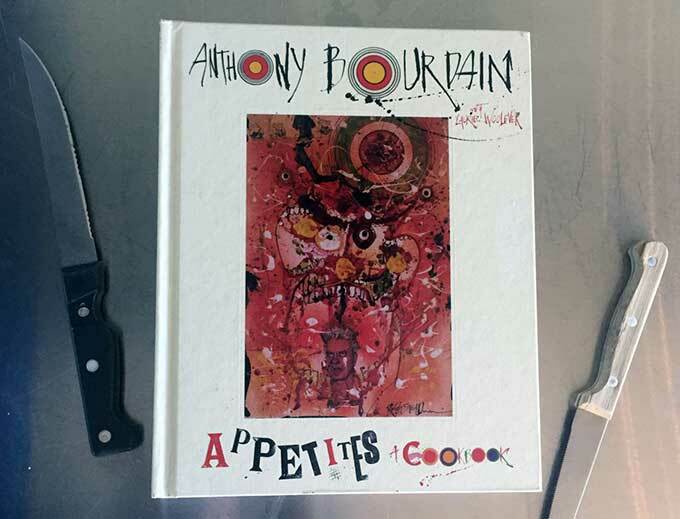 I was first-in-line to pick up his only other cookbook released more than a decade ago — a collection of recipes from his time working at New York restaurant Les Halles. But his new one, Appetites: A Cookbook, is much more personal and really captures who I imagine Anthony Bourdain to be. 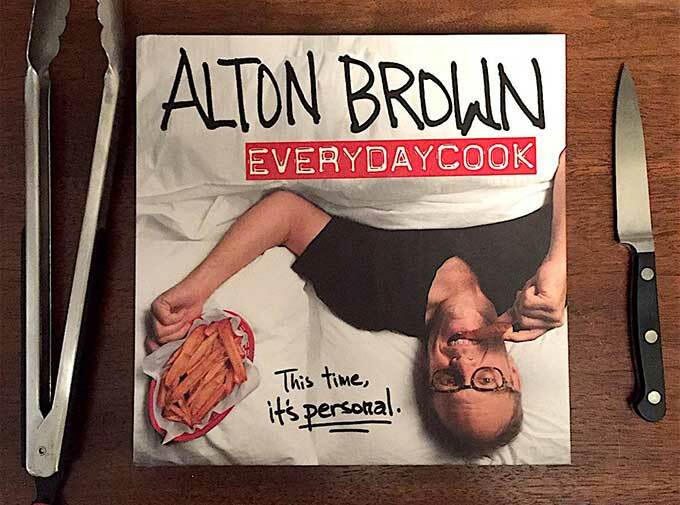 I discovered Alton Brown during the last few seasons of Good Eats, and I was instantly a fan. You’ve got to appreciate someone who can make a good martini. Brown’s Monty Python humor and Bill Nye nerdiness was right up my alley. Since the show ended, he seemed to publicly take off his apron and put on a jacket, acting as host and performer in many popular shows, a podcast, and live road show. But, if you’re like me, and missed Alton behind the stove, then get excited. EveryDayCook feels like his triumphant return as a cook. 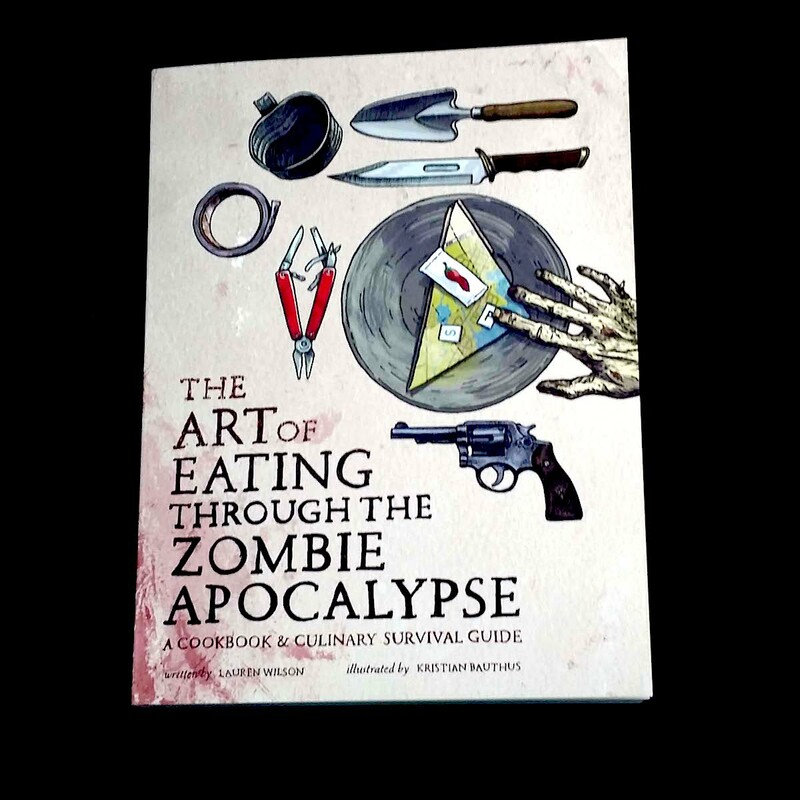 The book’s a welcome evolution from what Brown did with Good Eats. While you won’t find yeast puppets, you will find his familiar humor and meticulous attention to detail. Each recipe is broken down with Brown explaining how to prepare the dish in a simple and clear way. It’s very apparent that this was a personal project for him, and that he had a hand in every aspect of the book, even the photography. Since she was a teenager, Rosie Alyea has been obsessed with “whipping up a sweet life.” She began as a professional baker and then veered into the world of entrepreneurship, launching a decadent beauty product line. In 2010, Alyea began dreaming up creative confections for her blog, Sweetapolita. Her ribbons of Swiss Meringue Buttercream piled up rave reviews, and with each colorful cake creation she cultivated an adoring crowd. 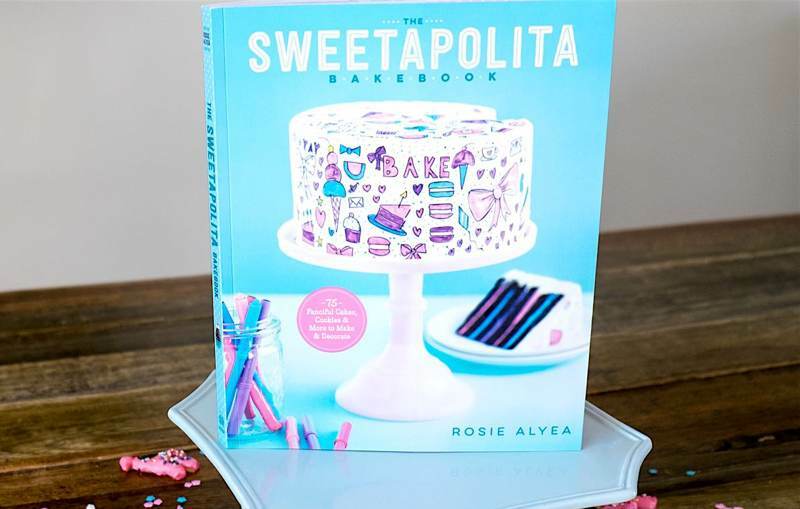 Today, Sweetapolita has nearly half a million followers on Facebook, and now Alyea is also an author with her first cookbook, the The Sweetapolita Bakebook. This bakebook is a showstopper, full of bright, vibrant pastels. Rosie obviously has a passion for color, evident in the line of every dazzling dessert she fashions. Her cookies transcend bakery staples into the realm of fine art. The buttery rounds are swimming with swirls of watercolor frosting and then dipped in edible gold so that they look like gilt-edged framed paintings, worthy of gracing any museum wall. Her infamous cakelets stand like fairytale towers, adorned with charming children’s fondant doodles in carnival colors. Donabe (doh-nah-bei) is Japanese for clay pot. It is traditional Japanese earthen cookware and its popularity has waxed and waned with the centuries. Today donabe cooking is a family (and friends) activity, bringing people closer together with communal dining. 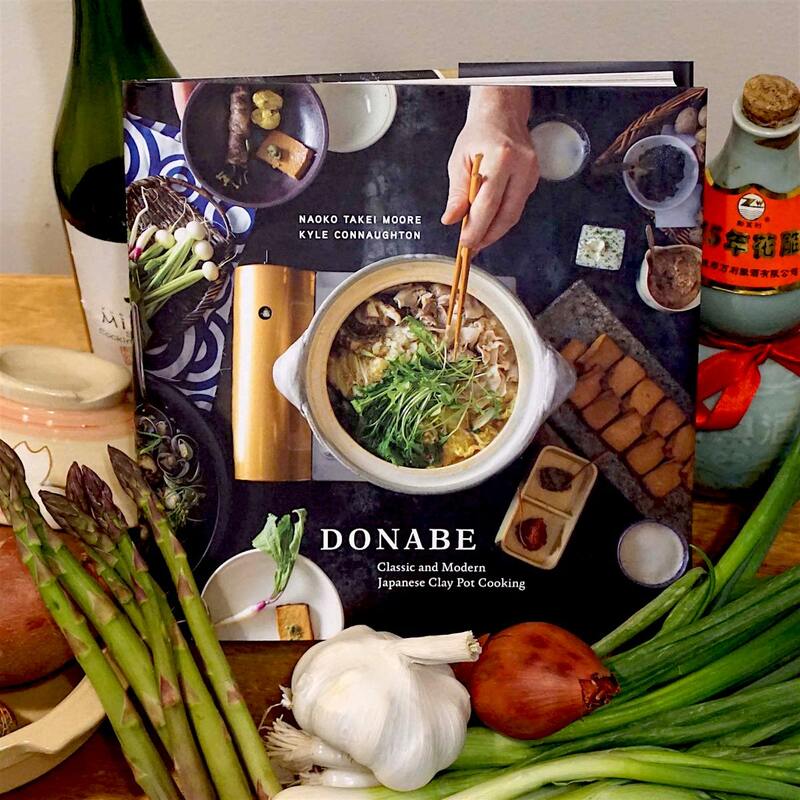 The book features traditional as well as modern donabe recipes created by the authors and takes readers through the history, manufacture and culture of the donabe. To infuse a liquid is to place a flavoring agent such as herbs in it until it takes on the flavor of the agent. 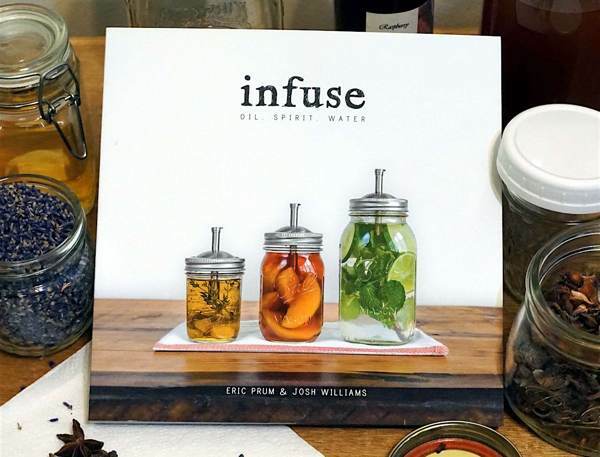 In Infuse: Oil, Spirit, Water, authors Prum and Williams demystify the art of infusing and show us how easy it is to create infusions. 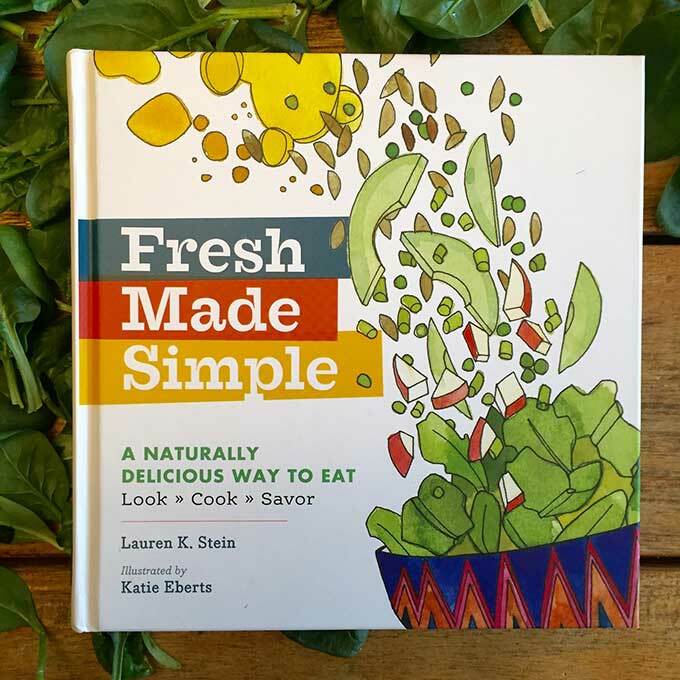 Simple prose, simple recipes, clear instructions and gorgeous photographs of the tools, ingredients and finished product will guide beginners in this art and inspire the experienced to experiment. First make sure you have the tools: a muddler (good excuse to get one, or you can always use a pestle), sieve, cheese cloth and funnel, and of course containers – most any old jam jar will do, but recipes are tuned for mason jars, 8oz (cup), 16oz (pint) and 32oz (quart). Basically tools that most readers will have in their kitchen. Fuel Publishing, based in London, has carved a niche in the book world by creating books that document the small dark corners of Soviet history. You may be familiar with the series of books, Russian Criminal Tattoos, that revealed the language of body ink and the hierarchies of gulags. CCCP Cook Book uses the same obsessive attention to detail to great effect. When your country is wholly dependent on what the obshchina (collective farm) produces, what you eat is a political act. 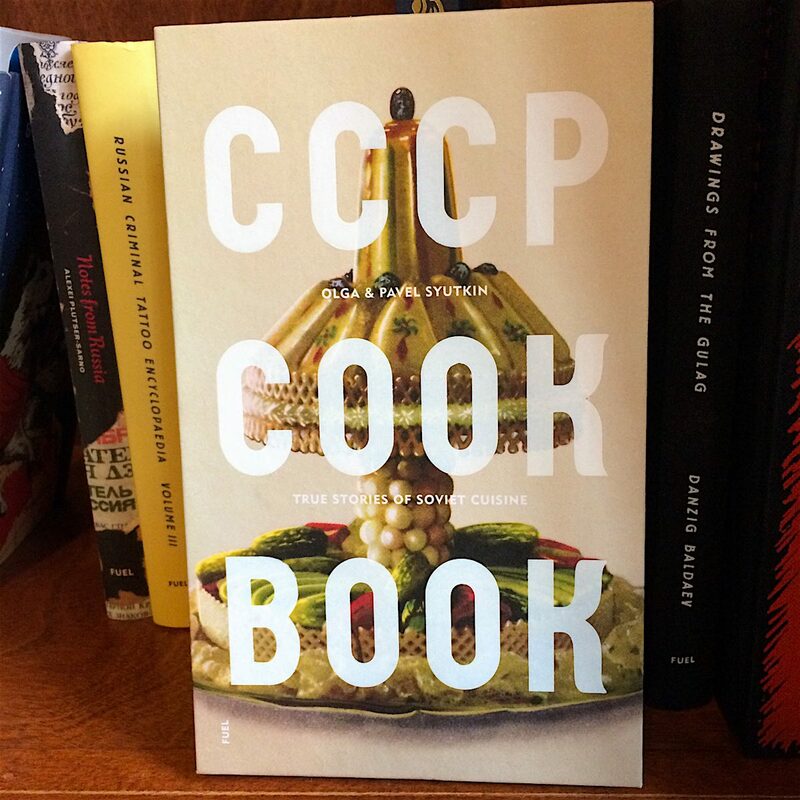 CCCP Cook Book delves deep into the history of dishes beloved by generations of Russians evolved from both the ideal of equal for all and the realities of planned food production in a country of nearly 170 million. Visually, CCCP Cook Book adheres to Fuel’s high-minded design aesthetic. 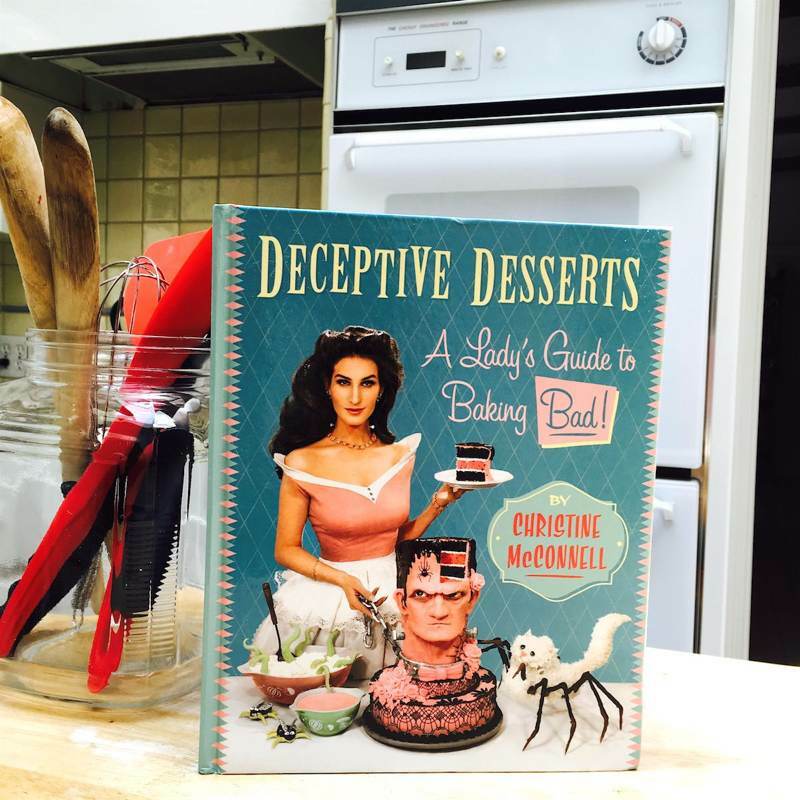 The full-page photos that illustrate the recipes are faithfully reproduced in the faded colors and garish contrasts that plagued cookbooks (regardless of origin) throughout the mid-century period. White Heat has long been my White Whale when searching through used bookstores. I’ve wanted this book for going on ten years. 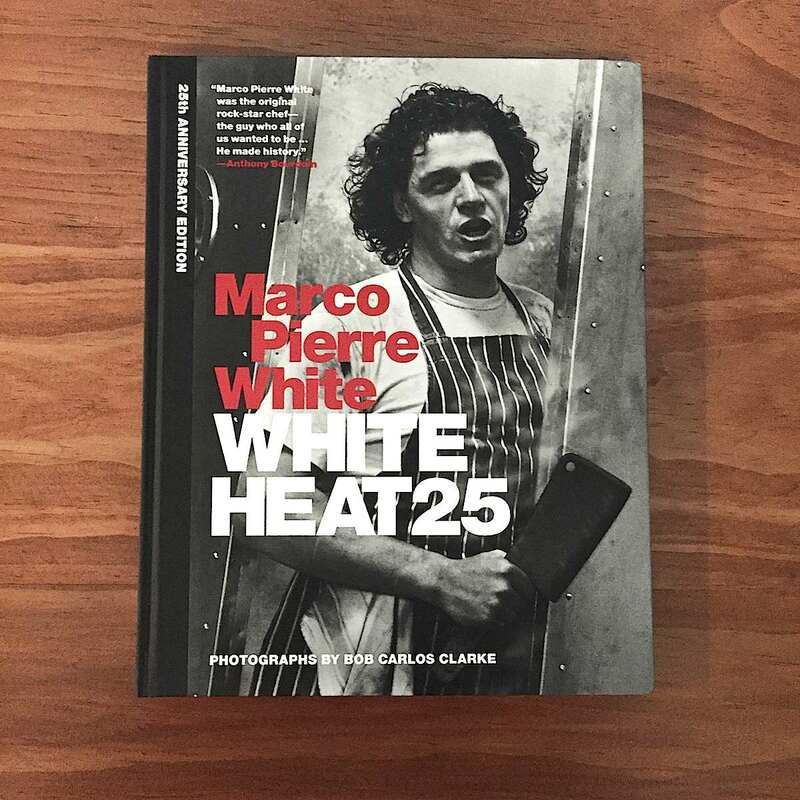 The first time I heard the name Marco Pierre White I had been reading a copy of Anthony Bourdain’s Kitchen Confidential, wondering if I had what it takes to be a professional chef (I did not). Bourdain mentioned White’s book, saying that it was the first time he’d seen a “real” chef in a cookbook, a sleep-deprived, nicotine-fueled, mad man in the kitchen. I thought that I’d finally found my copy when there was a re-release a few years back, but that paperback copy is the TV dinner to this 25th anniversary edition’s three-course meal. Can a home cook use any of these recipes? Maybe. The recipes are French. They’re complicated. And the ingredients include things like caviar, lobster, and pig trotter. 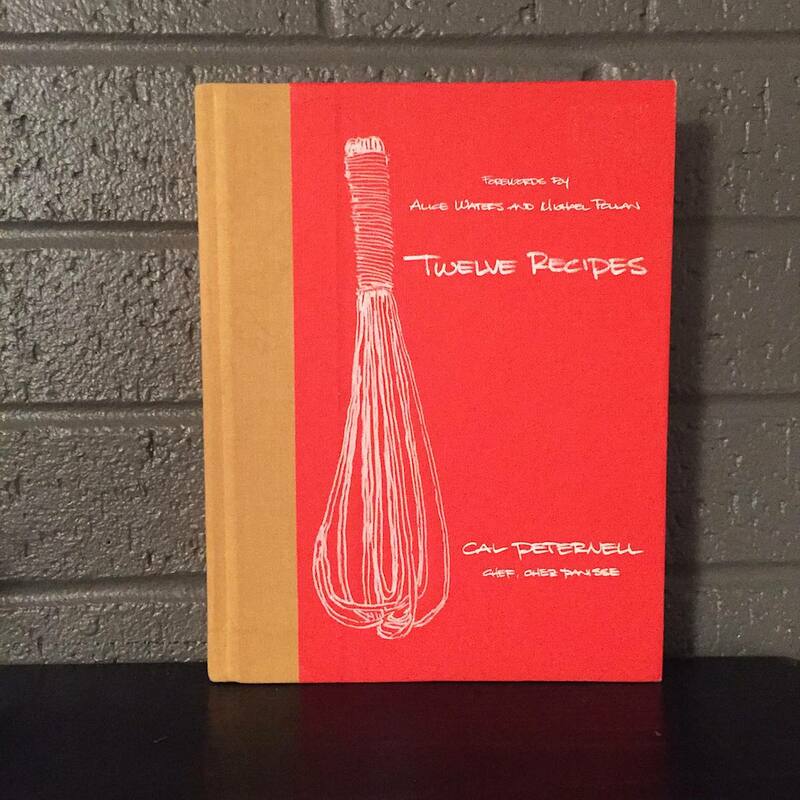 But, the mistake is to think of this as a straight-up cookbook. You wouldn’t flip through a book on Picasso and expect to learn how to paint. 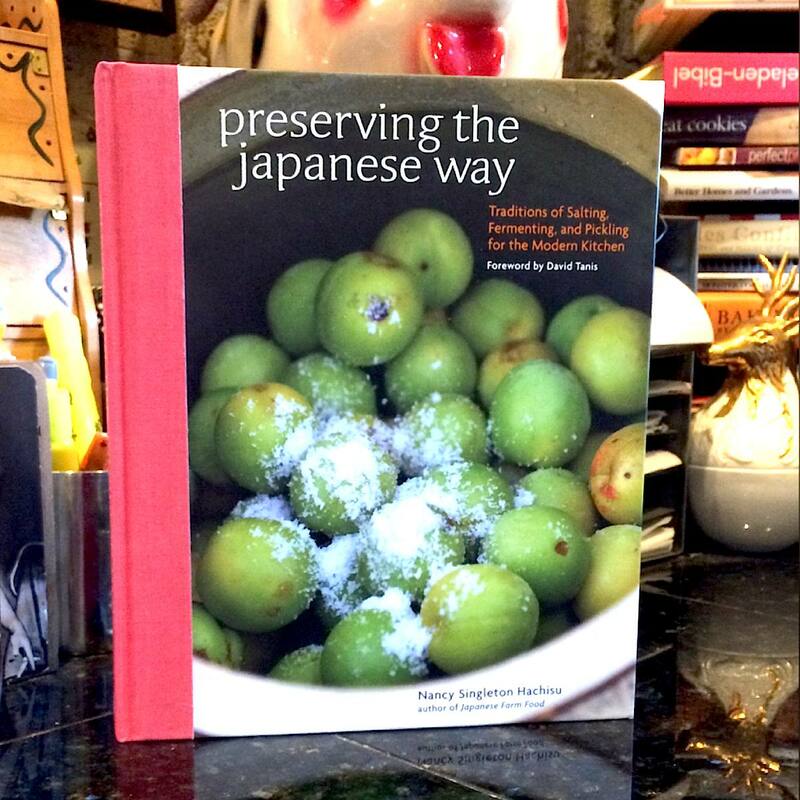 This book is evidence in the argument that food can be art. I’m authorized by the State of Wisconsin to teach the safest scientifically proven methods of food preservation. In my teaching, I’ve heard lovely stories of immigrant grandmothers and their favorite recipes and the joy keeping these traditions alive brings to people. This connectivity to our shared and adopted cultures is one of the most compelling aspects to Preserving the Japanese Way. Nancy Singleton Hachisu is a wonderfully opinionated ex-pat who embraced rural Japanese culture with her marriage to a Hokkaido farmer nearly thirty years ago. Her notes and recommendations are informed by her American “keep trying” attitude, coupled with the Japanese concept of perfecting a singular thing. Featuring reviews of more that 160 cookbooks written by African Americans during the 19th and 20th centuries, Toni Tipton-Martin's The Jemima Code is a much-overdue look at at how African Americans really cooked over the last 200 years, as well as how caricatures of African Americans were used to sell white homemakers everything from "Pickaninny Cookies" to pancake mix. Over at Collectors Weekly, Lisa Hix interviewed Tipton-Martin to learn more about this heretofore malnourished chapter in America's culinary history. Aunt Jemima the Pancake Queen became a national sensation in 1893, thanks to Davis’ ingenuous promotion at the World’s Columbian Exposition in Chicago. The company hired 56-year-old black actress Nancy Green to play Aunt Jemima at the fair. A former slave, Green was eager to leave behind a life of drudgery — as her other career options involved washing dishes or sweeping floors — in favor of the world of entertainment and advertising. With her warm, smiling persona, Green made pancakes, sang songs, and told nostalgic stories about the “good ol’ days” making breakfast for her plantation masters. Her pancakes were believed to be made of love and magic, not culinary artistry or domestic science. 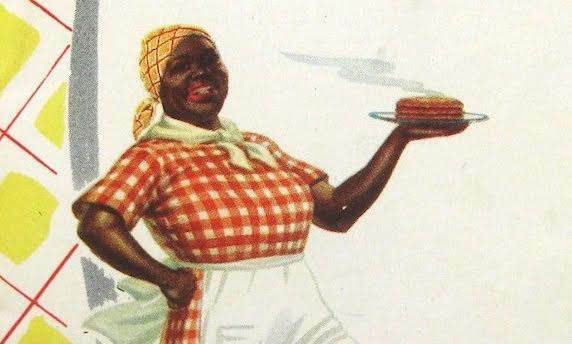 That image of a fat, happy slave — who faithfully nurtures a white family while neglecting her own — lived on for 75 years through the Aunt Jemima Pancake line, purchased by Quaker Oats Company in 1925. Ubiquitous in ads, she promoted easy-to-make variations on pancakes, waffles, and other pastries in promotional recipe pamphlets, and an Aunt Jemima impersonator even received the keys to the city of Albion, Michigan, in 1964. As a kid I’d watch my dad as he’d throw (his unit of measurement) some olive oil, onions, garlic, lemon, and olives into a pan to make a quick pasta. It’s learning to cook this way that gave me a love and appreciation for food and cooking. That’s what was so amazing about Twelve Recipes. When you read it, you feel like you’re getting that private cooking lesson from a family member. A family member who happens to be a really really good cook. Through the book Cal Peternell, chef at renowned restaurant Chez Panisse in Berkeley, CA, lays out twelve-ish basic foods and techniques that he believes will let you eat well for the rest of your life. If you’re a novice in the kitchen, the first chapter eases you in by teaching you how to make toast. No, seriously — toast. I was skeptical at first too, I consider myself to be somewhat of a toast veteran, but after reading a few pages I actually learned something. I had no idea that to make thin crisp toast you should actually use a loaf of stale bread since it’s easier to cut. 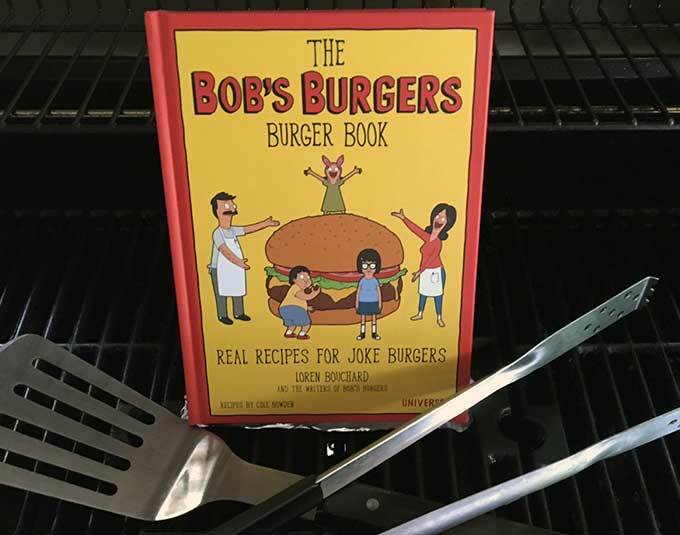 That’s the beauty of the book – even if you’ve been making toast, grilling meat, or cooking rice all your life, there’s still something to learn.